So after 4 years or so, I thought it would be a good time to change my tyres. My tyre size is 215/60R16. I had used Bridgestone Turanza tyres before and they were good. 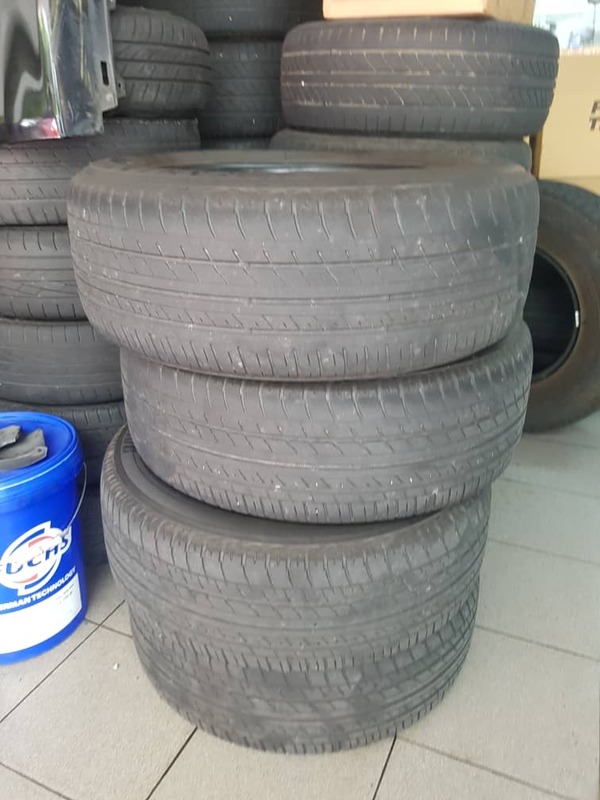 They were stock tyres from Honda Malaysia. Relatively sturdy. I had an incident where I hit a curb and a tyre burst so I’m not sure if that’s reliable or not. But I guess it’s a common thing? 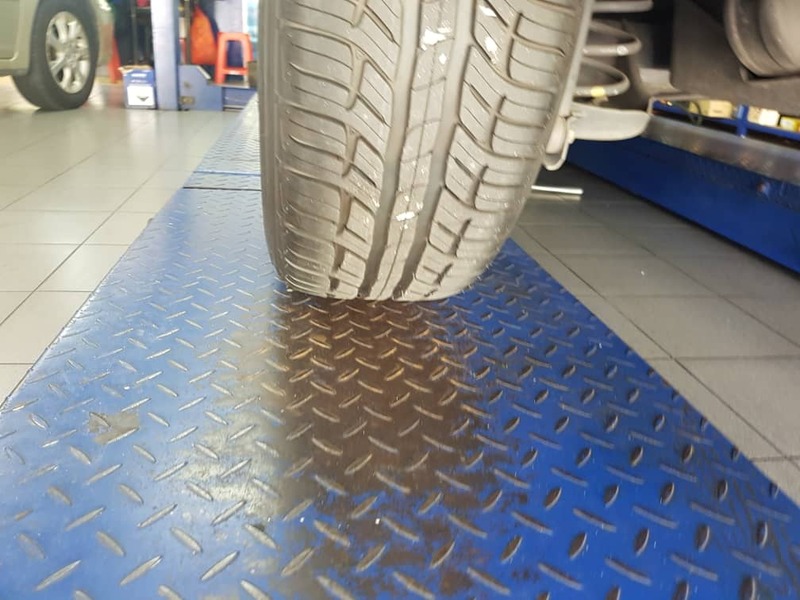 The tyres look pretty worn out. 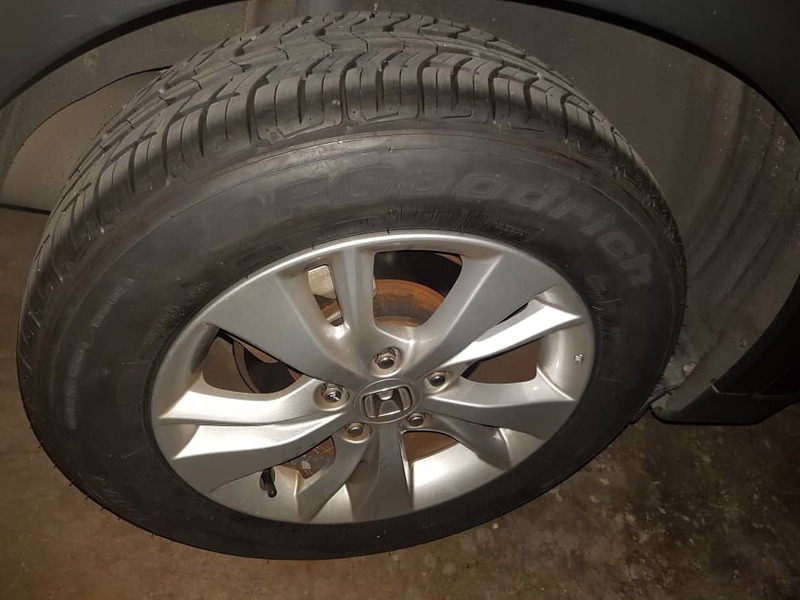 To replace my tyres, I called Honda to see how much it would cost to get my tyres replaced at the service centre since I was sending in my car for my 48 month service. They quoted me RM400+ for Good Year tyres. I thought it was overpriced. I looked online and checked out Lazada but the shops were too far away and saw a website called www.mytayar.com – after some filter adjustments, I noticed there was a shop in Hartamas so looked at Google Maps to try and locate said shop. I made a call to S8 Auto and got a good price on BF Goodrich Advantage T/A Drive tyres. These were cheaper than Hankook and about the same price as Toyo ones that another shop in Hartamas had suggested. Lim Tayar suggested Interstate tyres (never heard of this!) and it was pricier than Toyo, Hankook. S8 Auto was very neat, clean and bright. They also charged a reasonable price for tyres. They were also relatively fast. The tyres were changed in 1.5 hours. They did suggest Michelin XM and Primacy 4 ST tyres but these were a little more expensive than what I was willing to pay but still cheaper compared to other shops. At slow speeds below 40km/h the tyres were really quiet on the road – also maybe ‘cos it is fresh rubber? I’ll update again when I drive back later. Especially on the noise but they seemed quiet in the car park so that’s a good sign. Previously, my Bridgestone would make squeaky sounds in the car park. But so far I’m happy with the tyres. BF Goodrich is actually a Michelin sub brand so it has to be quite good. pigduck.com, Proudly powered by WordPress.